I'm starting to believe Ryan Gosling can do everything. He brought himself to the limelight with romantic dramas like The Notebook, he frequently plunges into ultra-violent neo-noirs like Only God Forgives, and more recently he's sung and danced his way to critical acclaim with La La Land. Here, in Shane Black's The Nice Guys, he got to try his hand at action and comedy. And, no surprise, he's terrific. The Nice Guys is a brilliantly fun film, but it wouldn't work half as well without its terrific cast. This also includes Russell Crowe, who is just as fantastic as Gosling. The two have an engaging chemistry on screen, and they bring a lot of life to sequences that perhaps shouldn't really work. In other words, it's another 2016 film saved by a terrific cast. 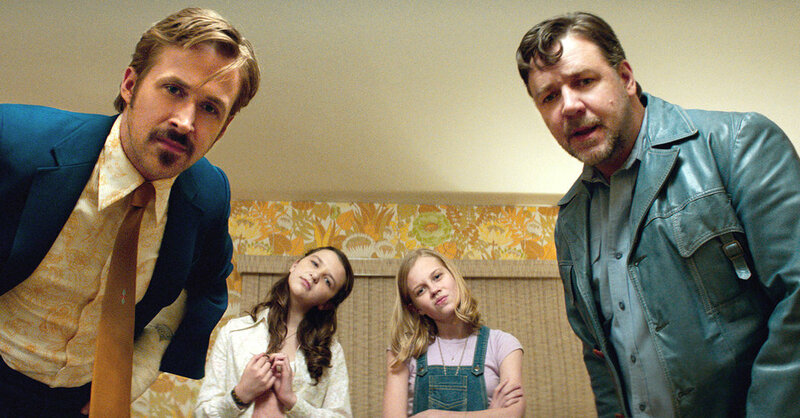 Where The Nice Guys goes wrong is mostly its scripting. Plain and simple, it just isn't funny enough. Gosling and Crowe make the most of it - simple moments work like Gosling trying to keep a toilet door open while pulling his trousers up, or the pair of them carelessly chucking a dead body over a hedge unaware that people are sat at a table on the other side - but there isn't enough humour here for The Nice Guys to earn its "comedy" labelling. The film also forces some sentimentality between Gosling and his on-screen daughter that doesn't quite stick, but it's performed well enough to not feel too awkward. The Nice Guys is rarely hilarious, and it often feels like its on the verge of something great and never quite works out what that something actually is, but it's so much fun that it's easy to get swept up in everything anyway. In other words, it's unlikely to make your year-end list, but you can expect it to sit comfortably in the honourable mentions. To Summarise: While the humour may not gel as frequently as it should, The Nice Guys smoothly coasts by on its relentless energy and the likability of its two lead performances. I spent almost the entirety of Matt Ross' Captain Fantastic waiting for it to end. Now, that isn't the criticism it sounds like. I was waiting for it to end because this is just one of those films whose overall quality depends entirely on the way it finishes. 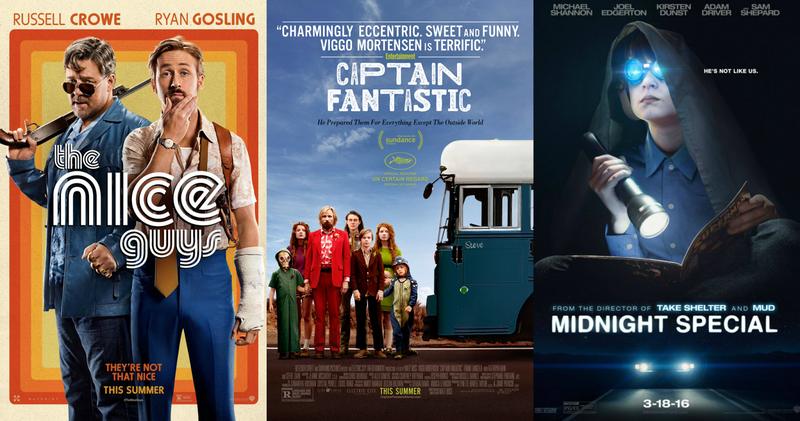 Luckily, Captain Fantastic ends strongly. It isn't quite enough to redeem some of the bizarre morality issues or strange genre trappings that came before it, but the film's ending does put a smile on your face. Not a "that was perfect and everything is wonderful" smile, though. More a "thank God that ending worked or else what a waste of two hours that would've been" smile. It finds a nice way of wrapping up a lot of the positive character beats that the film has done without betraying any of the negative stuff, but even then it just feels like Captain Fantastic is missing something. Viggo Mortensen carries this film. Much like The Nice Guys, this film's key strength comes through performance. Captain Fantastic's script isn't fully prepared to discuss the issues that would come from living the way the characters do in great enough detail to get you fully on board with its premise, and it essentially lands in "road movie" genre which isn't quite as original as you'd like (nothing is worse than a film about being different ending up not all that different itself), but Mortensen powers through it all. He gives Ben an emotional undercurrent that probably doesn't surface as much as it should, but when the film allows us to see this side of Ben, Mortensen nails it. All of the kids are pretty great too, and the film succeeds in finding a lot of humour in its scenario (most of it is pretty easy humour, but it's effective). It's just tough not to long for something a bit more interesting and a bit more unique, more like its wacky and wonderful characters. To Summarise: While it isn't quite as satisfyingly weird or unique as the characters and themes its depicting, Captain Fantastic remains a consistently enjoyable and frequently funny offering boosted further by Viggo Mortensen's superb performance. Midnight Special is essentially a semi-indie film. I say that because at the helm of it is Jeff Nichols (the man responsible for the terrific indie films Mud and Take Shelter), so it has the look and feel of an indie feature, but it's his first film produced through a major studio. So it isn't technically an indie film, but it comes across as one. It's a perfect mix for a film of this sort. Midnight Special needs the big budget spectacle for its sensational finale, and some of the bigger sequences littered about the film need the great VFX you wouldn't get with an indie feature, but Nichols' has brought his talent for powerful characterisation with him here. 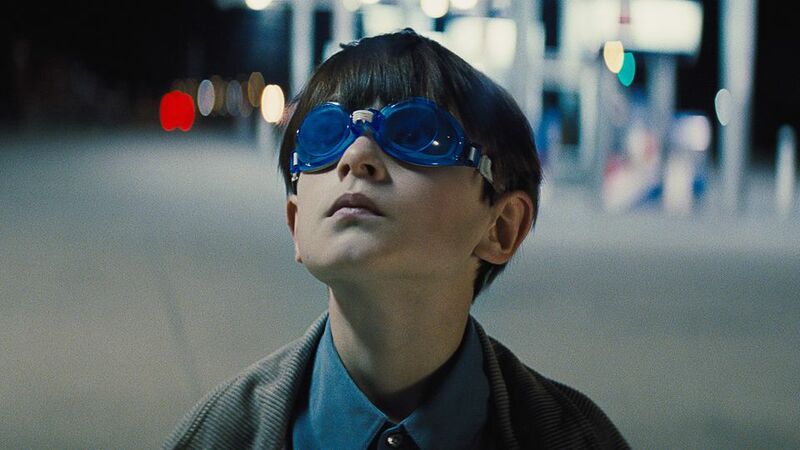 Midnight Special, thus, feels both big and intimate, it's both epic and poignant. It encompasses all that we love from both blockbuster and indie film-making, and it wraps it all up in one neat little package. It's terrifically performed across the board - Michael Shannon, Kirsten Dunst, Joel Edgerton, Adam Driver and youngster Jaeden Lieberher are all fantastic here - and this allows Nichols' quietly confident script to really flourish. Nichols kicks the action off essentially at the end of the story. Where most films would begin with young Alton's birth and take us through his life, Midnight Special kicks off at that story's climax. It allows everything to feel incredibly focused, and as if every last second matters. Even the softer moments, like Alden seeing the sunrise for the first time, come with a startling intensity, as if the FBI could walk out from the treeline at any moment. It makes for a staggeringly tense experience, but one that remains rooted in its characters and never forgets who it's all about. That it all builds to a surprisingly emotional conclusion is even more impressive. Midnight Special is beautiful to look at, but it's the power of the story that really hits home. To Summarise: Surprisingly emotional and strongly performed, the refreshingly unpredictable Midnight Special is another strong entry into writer/director Jeff Nichols' impressive resumé.